From to-do to done, scheduling your Airport Car Service Minneapolis is easy and takes a few seconds. Airport Car Service Minneapolis drivers are amazing trusted people from your local community. No B.S, you know the price when you book. Even if there is heavy traffic, it will never change. The most reliable and affordable airport and limousine car service in Minneapolis and its neighboring cities Airport Car Service Minneapolis is a trusted, distinguished and readily-available car service provider offering the best minneapolis airport car rental in Minneapolis and its environs. 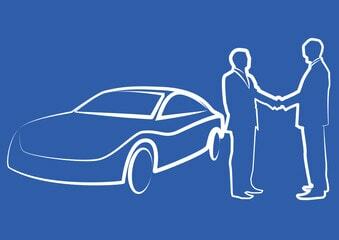 As a dependable car service provider, we are available to work with you anywhere you are coming from in the world. Our services are hassle-free and impeccable, and offered by professional drivers who are well grounded in the delivery of the best and highest msp airport car rental services in Minneapolis. With the aid of our cutting edge technology and advanced expertise, we ensure every client is satisfied after using our services, and we have never failed in delivering topnotch car and limo MSP airport services anytime our services are required. 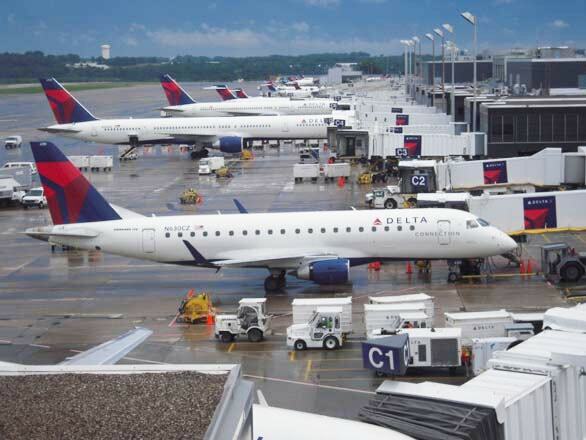 Using our real-time flight monitoring technology, we provide the most dependable flight tracking processes in the whole of Minneapolis and other cities in Minnesota, keeping in touch with the arrival of customers. With this technology, we are always going to be there for you at the airport, waiting to take you to your preferred destination without giving rooms to delay after your flight. Our airport limousines in Minneapolis are modern cars that have luxury interiors and exteriors that will make every second of the ride to your destination enjoyable and comfortable. Just like our airport car service in Minneapolis, we also offer you a unique privilege to have a feel of our car and limo MSP airport services when you are heading to your special event. Whatever event you are going to, our limousine service in Minneapolis is rightly available to give you the awesome and breathtaking ride you deservedly craved for. Our top priority goal is to provide you stress free transportation and keep you relaxed during the journey. You can avail a comfortable Airport Car Service Minneapolis is available to any location in Minneapolis for our customers coming all over the world. Feel free to ask quotation from our well trained staff and we will be amused to serve you. What makes us stand us at Airport Car Service Minneapolis? Some of the factors that make our services at Airport Car Service Minneapolis stand out among other airport car service operators are: Our commitment to delivering excellent services Here at Airport Car Service Minneapolis, we have dedicated our time, efforts and resources to delivering high quality airport car service in Minneapolis and other metropolitan and suburban cities around in Minnesota. From limo service in Minneapolis to airport limousine in Minneapolis, we are committed to providing a wide range of excellent car services to various customers. We are available 24/7 to cater for the car and limo MSP airport needs of everybody in Minneapolis, St. Paul and other nearby cities. Anytime, anywhere you need our airport car service in Minneapolis, we are going to make ourselves available for you in a jiffy. Our timely responses to customers Even if you call our helpline in the middle of the night, we will provide responses to your needs immediately. Our courteous and friendly staff members are eagerly waiting to answer your calls and provide timely responses and solutions to your needs when you are in need of our car and limo MSP airport service. The availability of professional, friendly and experienced chauffeurs and staffs Having provided the best trainings to our drivers and other employees, we can proudly say our chauffeurs and staff are always ready to offer you the best services. You can easily enjoy our airport car service in Minneapolis in the most conducive environment as our team is going to give you a special treat you can never experience elsewhere. If you are looking for Affordable transportation service, then you have reached at the right spot. We are one of the best Affordable transportation providing company. Our company is not only licensed to do what we do but also have professional chauffeurs who are well trained and equipped with training and professional attitude. We serve for a variety of clients needs ranging from prom nights to executive movements while maintaining a high quality service standard. Our control center staff operates 24 hours a day, we’re always there when you need us most. You can avail a comfortable Airport Car Service Minneapolis transfer to any location in Minneapolis as well. 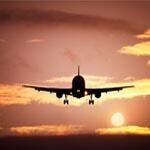 Airport Car Service Minneapolis will get you to the airport or destination on-time. You will experience the safest and most efficient drive. In whatever city you are using our airport limousine in Minneapolis, you will only be driven around by chauffeurs who have local knowledge of the city. Therefore, you have nothing to fear as our knowledgeable, professional and well trained drivers will only take the best and safest routes while adhering strictly to traffic laws. Our Simplified and easy-to-use reservation or booking process To ease the stress customers usually go through when making booking for transportation services, we have simplified our booking process; hence, anybody can make reservation for our airport limousine in Minneapolis within few minutes. With few minutes spent talking to our customer care attendants, you can quickly book for airport car service in Minneapolis with cash or credit cards without much hassle or unnecessary and undue long processes. Our dedication to ensuring comfortable ride for our customers Whether you are using our service as business executives, celebrities, students, family or workmates, we will never compromise our determination to provide comfortable ride for you. One of the main responsibilities we have been saddled with when offering airport car service in Minneapolis is to make every part of your ride comfortable and relaxing. An advance reservation will help us to track your arrival time as we track flights in real time. Thus you would not have to wait for us in case you reach early and you will find us at your service as soon as your plan is landed. Quality of service is our competitive advantage as we always strive to deliver the best to our valuable customers. We value each of our individual clients by providing them a customized experience meeting their expectations. The latest models of luxurious vehicles are the part of our fleet. You can enjoy the luxurious ride to and from MSP Airport. We provides affordable (MSP) Airport Limousine Services for business, frequent travelers and families. In order to provide our valuable clients a flawless service. From luxury sedans to exotic SUVs and elegant, multipurpose vans, we have all kinds of vehicles that will keep you satisfied while using our services here at Airport Car Service Minneapolis. Whether for limo service in Minneapolis or any other service you need, the right vehicle is always within your reach. In order to make every citizen or visitor in Minneapolis and other metropolitan or suburban cities in Minnesota enjoy our airport car service in Minneapolis, we offer our services at some of the lowest rate available in the state. 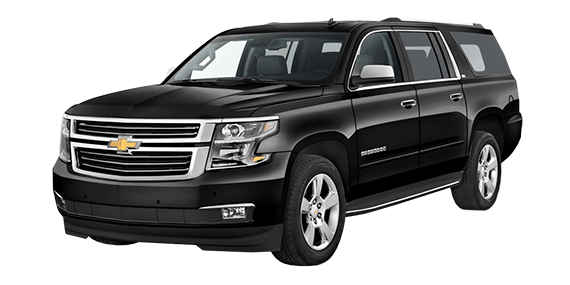 While offering affordable services, we do not have any hidden charges; hence, we make all charges known to our customer right from the time of contacting us Would you like to enjoy a ride in our airport limousine in Minneapolis at affordable charges? If yes, call us now at +612 351 8016. Let us simplify your arrival with a greeting service and transfer you from the airport or train station to your destined hotel. Our competent and professional team members are outstanding and well reputed. They can guide you or your families regarding the better choice of accommodation. Make your travels more comfortable. Let Airport Car Service Minneapolis pick you from the airport, you just need to take you luggage and your driver will take you to the destined place You can trust our team either you are solo or with family as our chauffeurs are so reputed and devoted to serve you well. If you are travelling anywhere in Minnesota and you are looking for the best car services to go around all places then Airport Car Service Minneapolis is the best choice. We have the best transportation service in the town which will never make you regret to hire us. 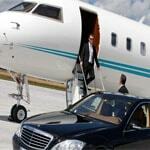 Make your meeting or event transportation successful with Airport Car Service Minneapolis. Airport Car Service Minneapolis platform provide you best services around Minnesota. If you are planning major events or company wide events, let us take all your staff or group members to desired location. Airport Car Service Minneapolis provides you transportation services to Rochester, Mayo Clinic as well. Our car and shuttle services to Airport, Hospitals and Tourism are ready to serve you 24/7. Our professional transportation team is always ready to take your families flying into the Minneapolic - St. Paul international Airport on comfortable cars. Our chauffeurs are professional and very cooperative and make your journey safe, comfortable and stress free. Are you in need of a car and limo MSP service to take you to Mayo Clinic in Rochester? If yes, we are always at your beck and call to deliver the swift service you need. With our Mayo Clinic Transportation service, missing your medical appointment is a thing of the past, and the time for getting sick without receiving timely help is over. In need our airport limousines in Minneapolis? Take the necessary step today by putting a call through to us at Airport Car Service Minneapolis, and we will solve your transportation issues as quick as possible. Call us now at +612 351 8016. We provide best services to all class of clients. Airport Car Service Minneapolis have friendly relationships with clients and customers.